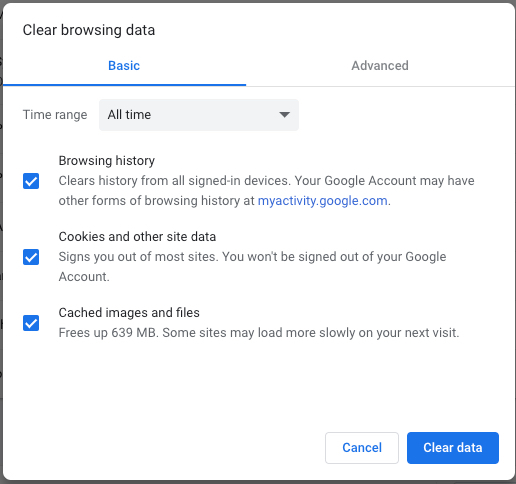 Step 1: Navigate to Chrome’s options for clearing browser data. Step 2: Select the data you’d like to clear—as well as the affected time period. After your clear your browsing data, quit and restart Chrome. Quit Safari and re-open it to complete the process. Step 1: Open Firefox’s clear history options. 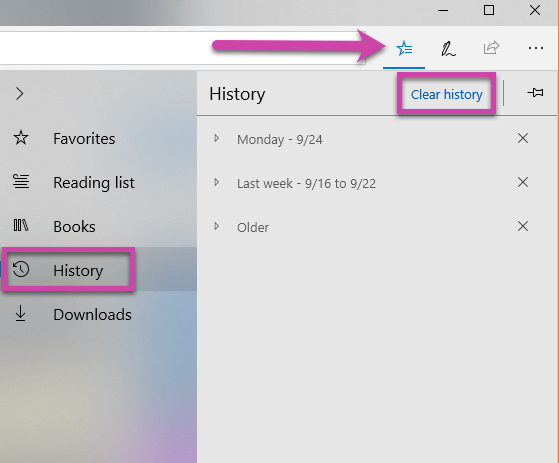 Navigate to History > Clear Recent History from the menu bar. If you do not see the History menu, you may need to press Alt on your keyboard. Step 2: Choose your time and data settings. When you’re all set, quit and re-open Firefox to complete the process. In your Hub settings (in the top right corner), click the History icon. Then, choose Clear all history. 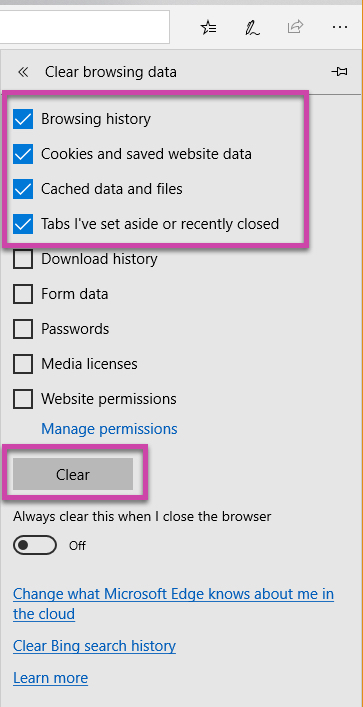 Choose to clear Browsing history, Cookies and saved website data,Cached data and files, and Tabs I've set aside or recently closed. To complete the process, close out all browser windows and reopen them.